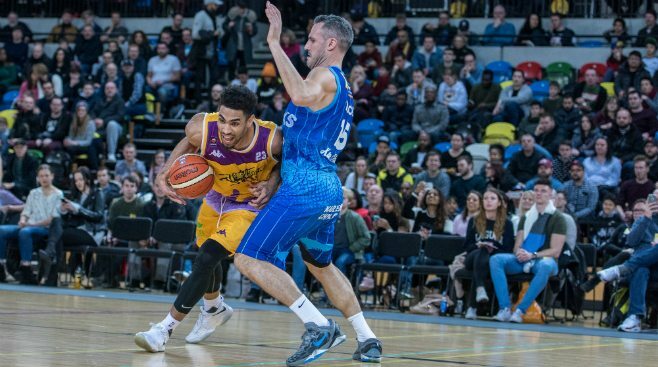 A mid-season signing for London Lions, it has not taken Cory Dixon long to make another big impression on the return to the BBL. The former Plymouth star was the first player this season to land a triple-double and that has contributed to him being named Molten BBL Player of the Month for January. The forward played six games during the period and returned a massive 21.3 points per game. He also harvested 8.7 rebounds per outing too. Perhaps it was the passing element of his game which really shone most brightly, since Dixon handed out an impressive 5.3 assists per game. That catapulted him into the top 8 in the category, among an array of leading guards in the league. Surrey Scorchers’ duo Tony Hicks and Jordan Williams were also in the mix to land the award, with Dixon’s team-mate Brandon Peel also enjoying a hugely productive month.